Flip a coin, if heads the opposing Pokemon is now in your command. If tails, You are now under the oppositions command. 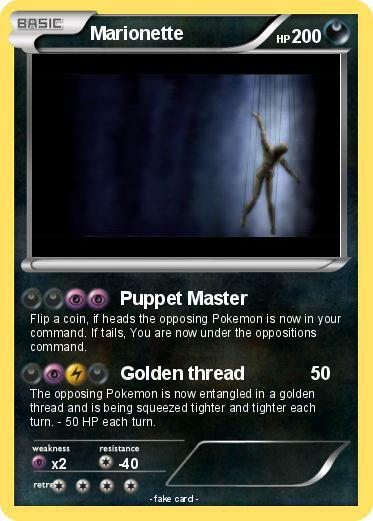 The opposing Pokemon is now entangled in a golden thread and is being squeezed tighter and tighter each turn. - 50 HP each turn.